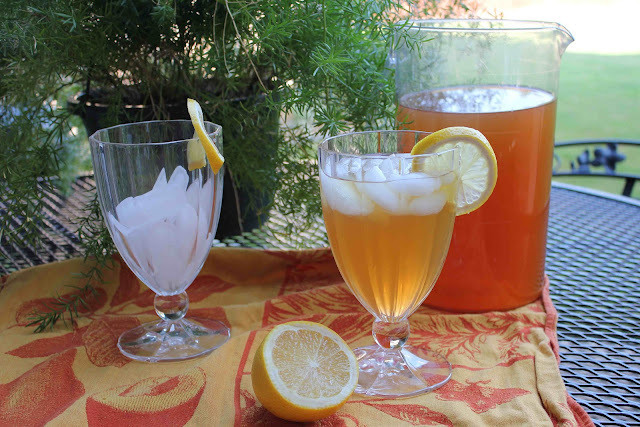 A few weeks ago, I blogged about a refreshing vanilla almond iced tea recipe that I discovered from Macaroni and Cheesecake. My husband, Matt, a HUGE fan of tea, loved it, but when I told him how much sugar it contained (that’s right, 1 cup) he nearly had a heart attack! 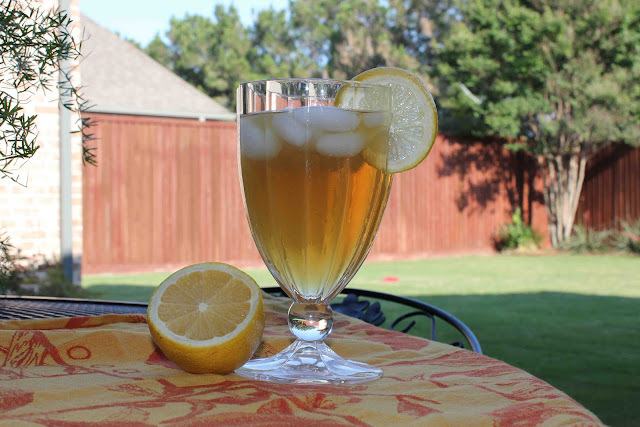 Well, my husband’s creative juices took hold…he was determined to make a lighter/healthier version of the tea, and it looks like we found a winner! With only 5 calories, you can definitely enjoy this southern sweet tea recipe without feeling guilty. Plus, you can proudly boast that this recipe was created by a true Fightin’ Texas Aggie football player. WHOOP!! So sit back, relax, and enjoy your homemade tea. 1. Bring 8 cups of water to a boil. Pour over tea bags and let steep 3-5 minutes. Remove tea bags. 2. Meanwhile make lemonade by mixing 1 gallon of water with one packet of crystal lite lemonade. 3. Combine lemonade and tea. Add 2 tablespoons almond extract. 4. Refrigerate until chilled or pour over ice. One Response to "Matt’s Arnold Palmer with an Almond Twist"